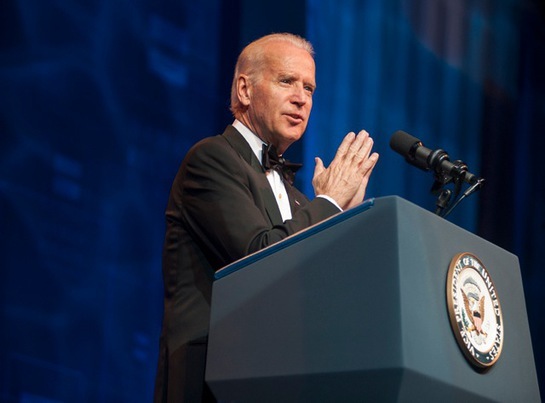 Vice President Joe Biden gave the keynote address at the Human Rights Campaign's Annual LA Gala at the JW Marriott hotel in downtown Los Angeles on the evening of Saturday, March 22nd. HRC President Chad Griffin was joined by keynote speaker Vice President Joe Biden and wife Dr. Jill Biden, as well as VEEP’s Reid Scott and fiancé Elspeth Keller, Modern Family star Jesse Tyler Ferguson and husband Justin Mikita, Scandal’s Jeff Perry and wife Linda Lowy, Glee’s Darren Criss, 12 Years a Slave producer John Ridley, Star Trek’s George Takei and husband Brad Takei, Family Ties actress Meredith Baxter and daughter Mollie Birney, Iron Chef star and restaurateur Cat Cora and President of the Director’s Guild of America, Paris Barclay in support of the HRC Annual LA gala. 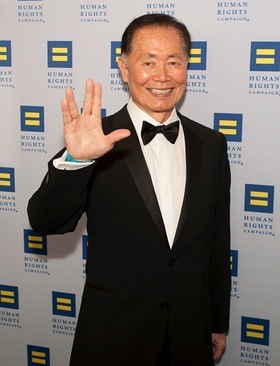 VEEP’s Reid Scott and Scandal’s Jeff Perry sat next to each other and caught up like old pals throughout the evening, while George Takei and Reid’s new fiancé, Elspeth Keller, took photos posing with Takei’s signature Star Trek hand gesture. Chad Griffin thanked guests for helping make 2013 “the most successful year in the LGBT movement” while re-telling the story of Prop 8 plaintiffs Paul Katami and husband Jeff Zarrillo, who were in the audience with their wedding ceremony officiator, former Mayor Antonio Villaraigosa. 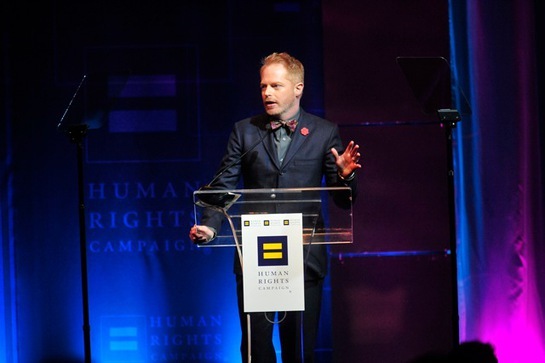 While on stage to announce the “Biggest Winner” of the evening’s raffle, Biggest Loser star Bob Harper thanked HRC for giving him the courage to publicly come out on his show after 15 seasons. After an inspiring speech Vice President Biden and Dr. Jill Biden went backstage to take photos with select guests. The VP walked straight up to HBO’s VEEP star Reid Scott and said “make sure you give me the same advice you give your boss on the show!! 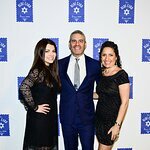 !” in reference to Julia Louis- Dreyfus.